Your rear Harley air shocks can be adjusted according to riding conditions, weight, riding style or preference. Never use a compressor, or “shop air” to fill the air bladder on this style shock. Chances are; you will ruin the shock or, possibly, get hurt. 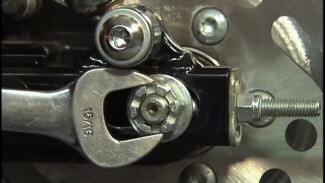 Fill this type of shock with a low pressure / high volume hand pump. You can purchase this pump from a motorcycle parts distributor or at your local bicycle shop. Your rear air shocks are designed to hold from 5 to 50 lbs of air pressure. There is a specific graph in your service manual that suggests the estimated air pressure you may need depending on weight. Find what feels best for you – riding alone and with a passenger. It is important to inspect your rear shocks at regular service intervals. Check the tightness of fasteners, condition of bushings, condition of the air lines, and verify that the shock, itself, is not leaking. It is a good idea to keep a shock pump in your saddle bag. Try different air settings. Find what feels best for you. 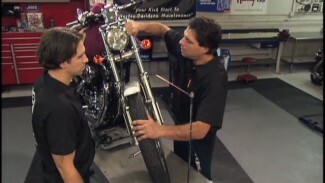 Make Harley air shocks inspection part of your pre-ride safety check/pre-ride inspection.